Hey, that's one of our tents! It's the new Gemini III 3-season, 3-person tent. 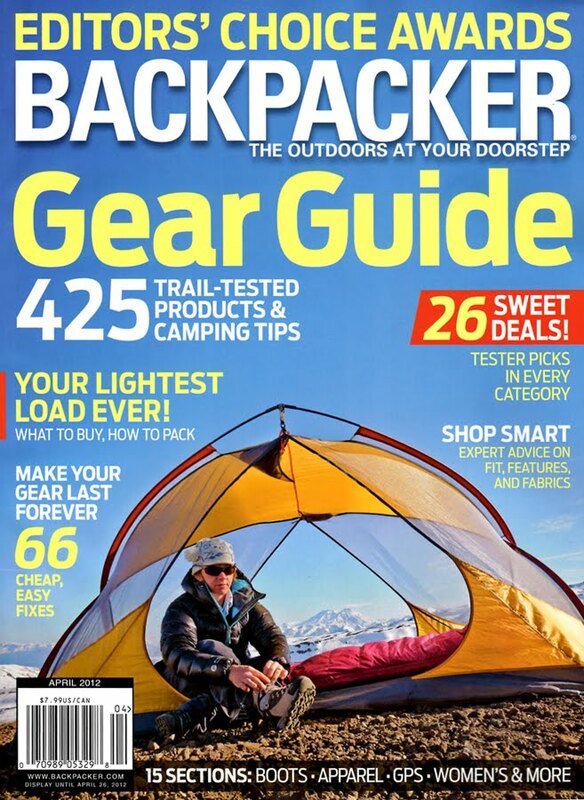 Stay tuned for more from the pages of the Gear Guide in the next few days. Several other Exped products make prominent appearances.